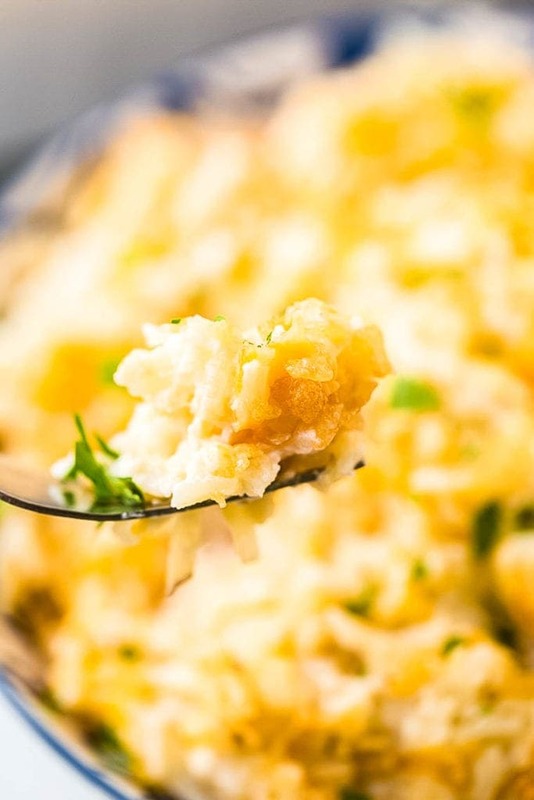 I know you guys love my recipes for Crock Pot Cheesy Potatoes, Easy Cheesy Scalloped Potatoes and Crock Pot Cheesy Ranch Potatoes, right? So I have one more for you! 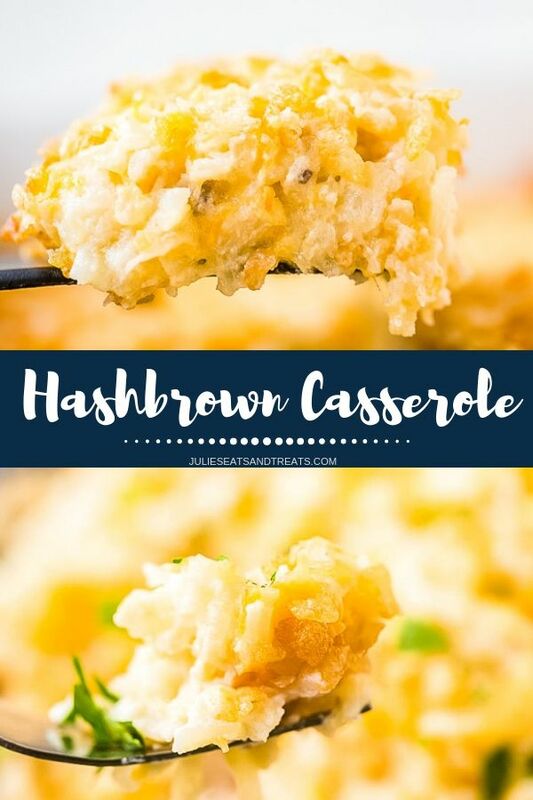 What’s not to love about a great hashbrown casserole?!! So I know you’ll love this one too! Cheese and potatoes. In the same dish. Did I mention lots and lots and lots of cheese? How can you go wrong? I’m saying you probably can’t, but in this dish, you for sure won’t. 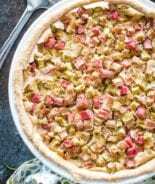 Then you top it with just a little bit of crunch with the Krispies. Mmmmm Heaven on earth. Seriously. Also, I think I’m a carbaholic, but at least I’ve admitted it. Isn’t that the first step? Oh did I mention these are super duper easy? I mean it uses frozen hash browns. You don’t even have to chop, dice, shred or what not to make these potatoes. I bet you are falling in love just I like might have. Never mind. I did fall in love. I think I want more. I promise you that if you try these potatoes you won’t be disappointed. Wait do I say that in every post? I suppose I do because I wouldn’t share it with you if I wasn’t in love with the dish! Enjoy! 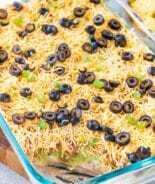 My husband loves this casserole so much he just made a delicious version to make on our smoker! 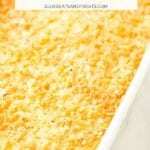 You have to check out this Smoked Cheesy Potato Casserole if you have a pellet grill! 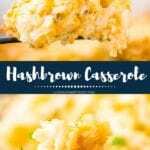 This Hashbrown Casserole is one of my go to side dish recipes when I host company for holidays or parties. 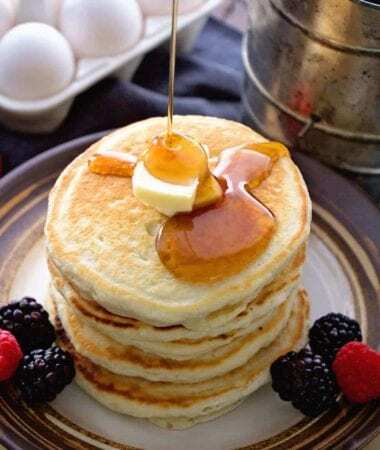 It’s quick and easy and always seems to be a hit. 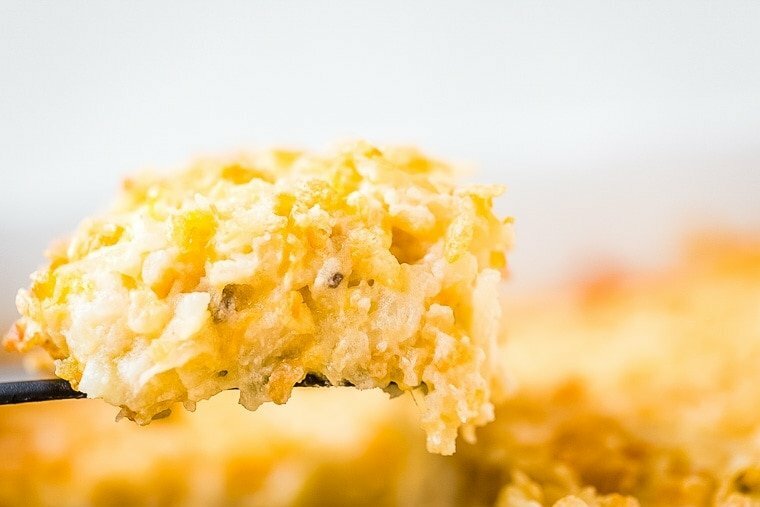 A lot of people refer to it as Funeral Potatoes, but I never did when I was growing up so for me, it will stay Cheesy Hash Brown Casserole! If you are hosting company please feel free to make it the day before hand and store it in the fridge. I usually keep the topping off until right before I bake it. When it’s time to prepare the meal just take it out of the fridge, put the topping on and bake it. It will take about 15 minutes extra time to bake if it’s take out of the fridge due to the fact it’s cold. Of course, we love all the cheese, right? 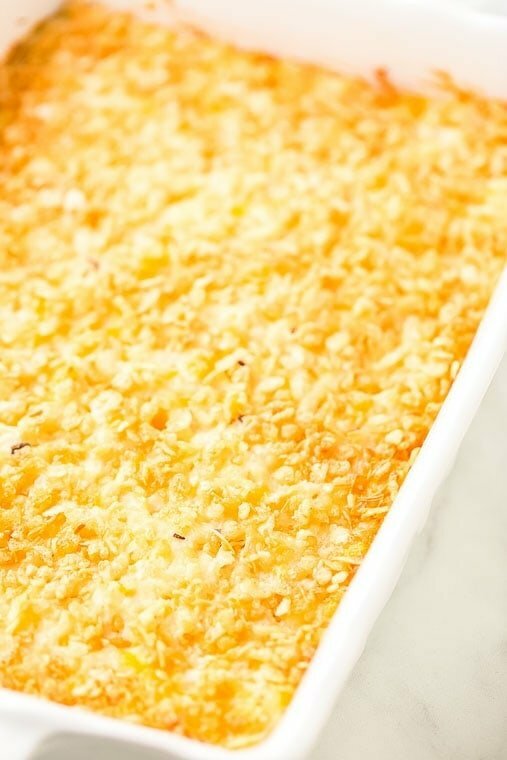 But another thing you’ll love about this casserole is that it’s quick and easy to put together and then simply baked in the oven – I love that, you will too! 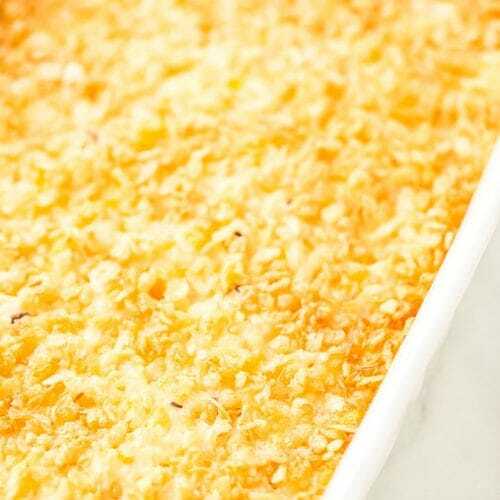 Combine the soup, sour cream, milk, cheddar cheese and 1/4 c. butter in a large bowl. Add the hash browns and stir well. Pour into a greased 13 in x 9 in x 2 in baking dish. Next combine the Rice Krispies, Parmesan and remaining butter; sprinkle over the top of hash brown mixture. Bake uncovered for 50-60 minutes or until hot and bubbly! 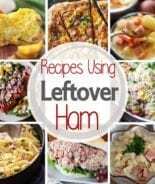 More potato casserole recipes to love! I know you’re going to love this and everyone will love it! 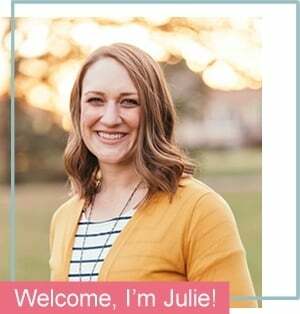 Be sure and comment below with a five-star rating so I get to hear what you think!! 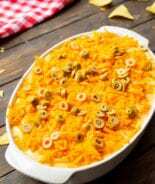 Quick and easy cheesy hash brown casserole loaded with cheese that's great for an easy side dish recipe. Combine the Rice Krispies, Parmesan cheese and remaining butter; sprinkle over the top of hash brown mixture. Okay I have never seen rice krispies on top!! This looks so delicious! I love it! This looks so cheesy and delicious! 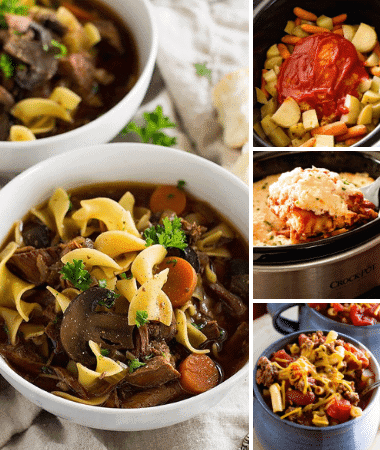 I can’t wait to try this with dinner this week! 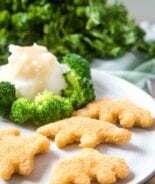 I tried this recipe last night and my husband fell in love with it. He hardly ever likes to try new things, but he did on this and it was amazing! Can’t wait to make it again for him and the kids. Wahoo! That’s always something to celebrate!